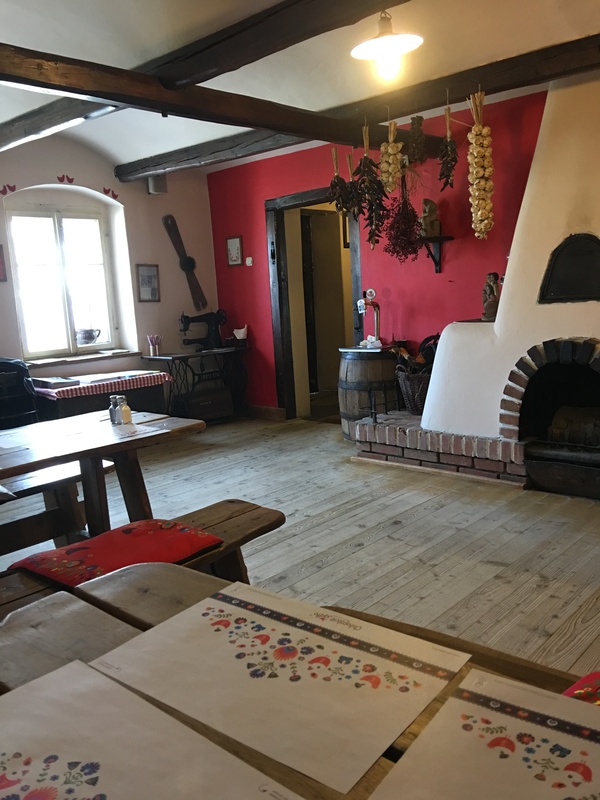 In the middle of nowhere you find a chain restaurant. 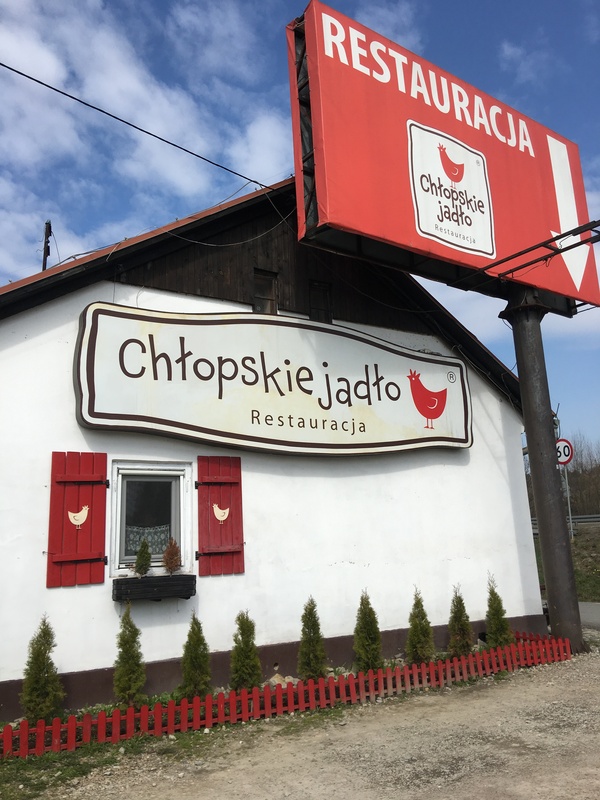 At the time I didn’t know Chłopskie Jadło was a chain. The building looked ok, but inside it looked real nice! Real old school looking. Nice! 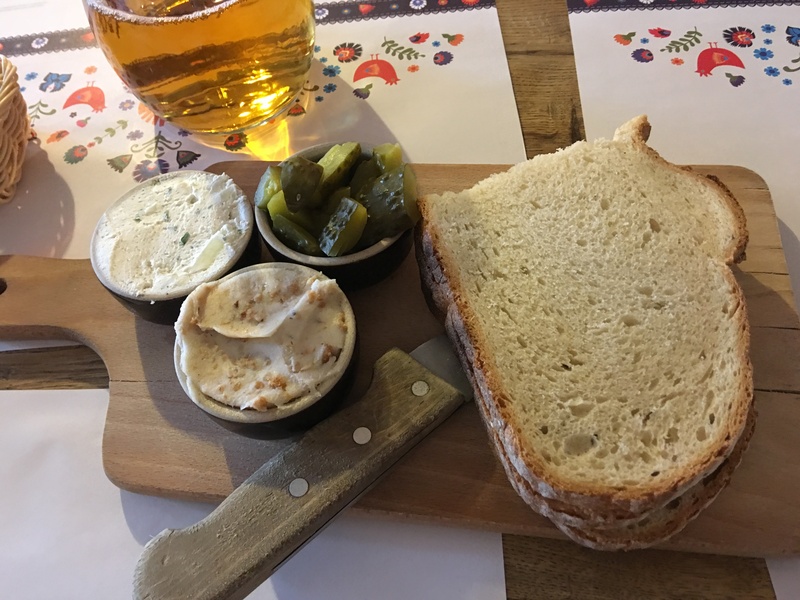 The traditional starter of pickles, bread and spread. The white one is a cream cheese, not bad. The other one looked liked a nut butter to me. Very rich! Turns out it’s lard with bacon bits! OMG! Heart Attack, but tastes so good! On to lunch. Galumpkis! I love these, always have. My college buddy Scott is Polish, and I remember eating his family’s and the ones at his wedding also. 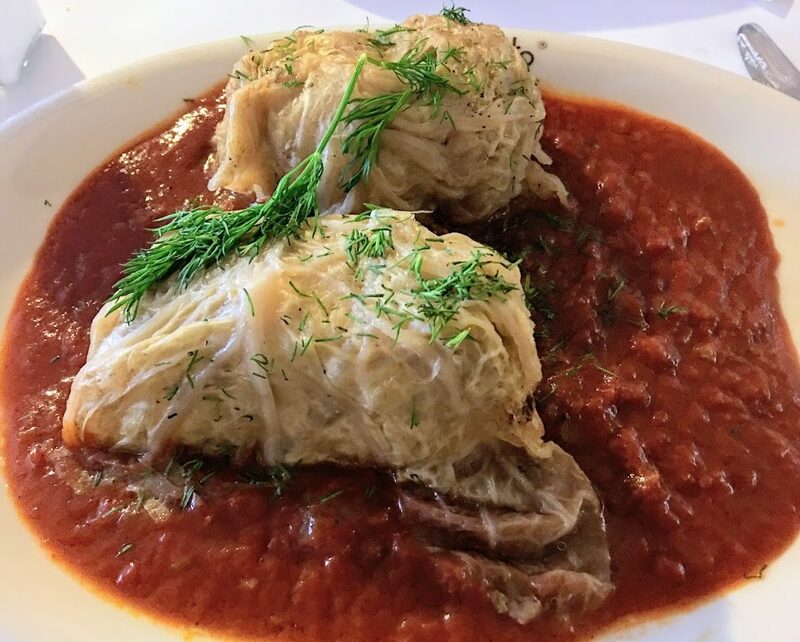 Love the cabbage rolls with the pork and rice in the middle with the rich tomato sauce. This did the trick for me! It was good and authentic! It’s a chain, but go there! Posted in Galumpki, PolandTagged Galumpki, PolandBookmark the permalink.